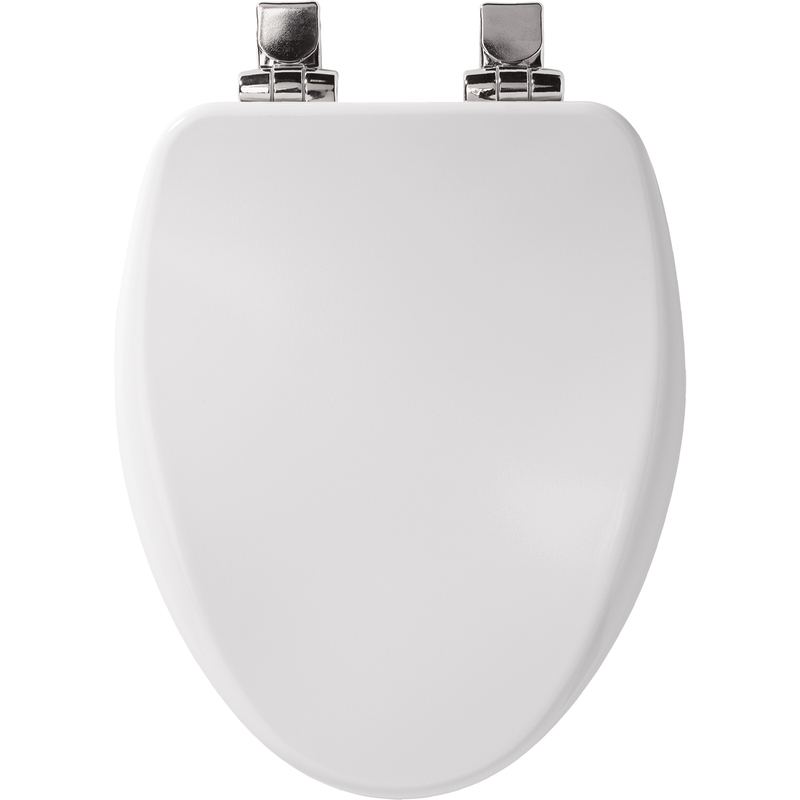 This High Density™ enameled wood seat provides superior strength and stability while matching the look of ceramic. 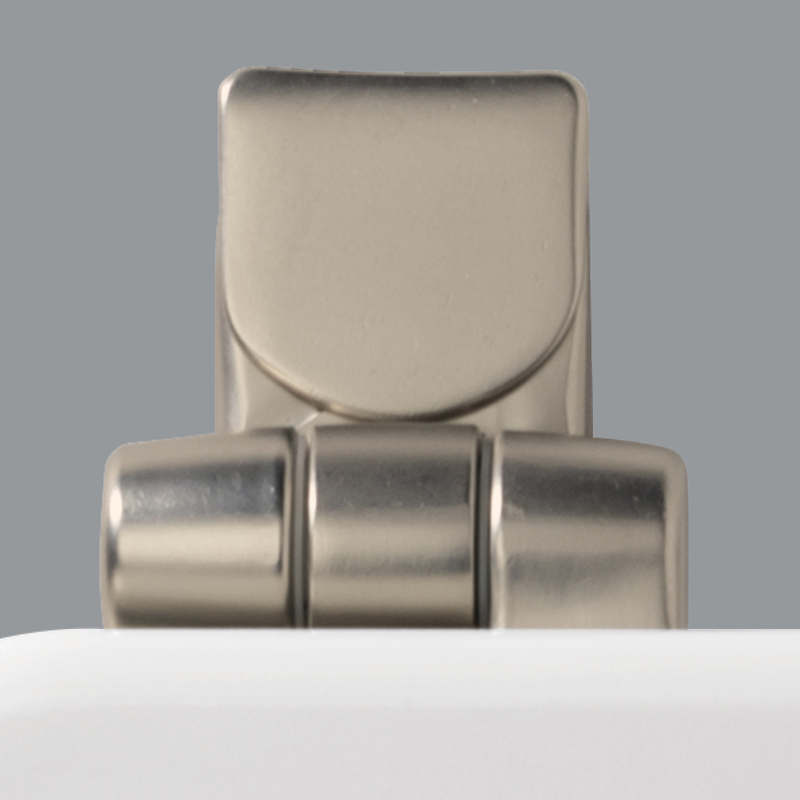 The stylish metal hinges are long-lasting and are available in a variety of finishes. 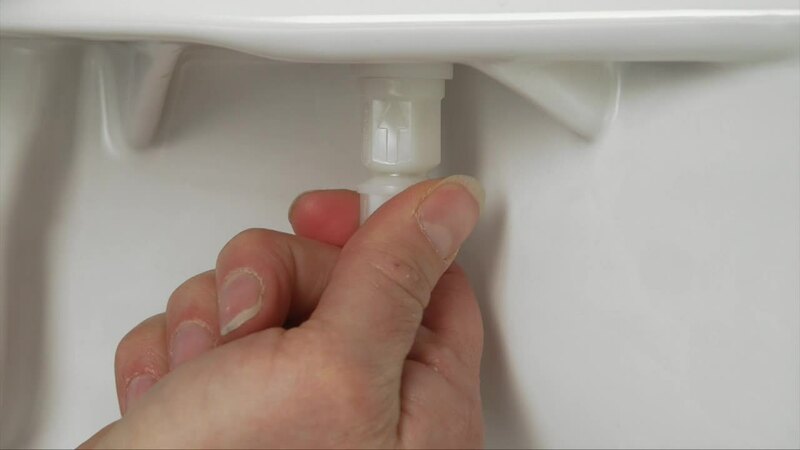 This slow closing seat is also easy to clean and remove. 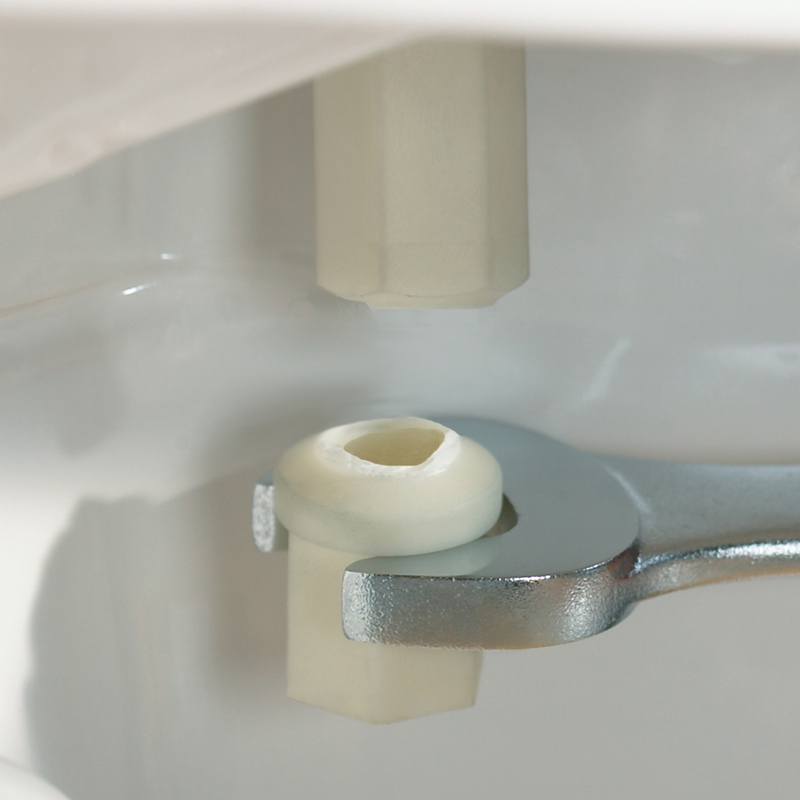 With the STA-TITE® Seat Fastening System™, the seat does not shift around and stays firmly attached to the toilet. 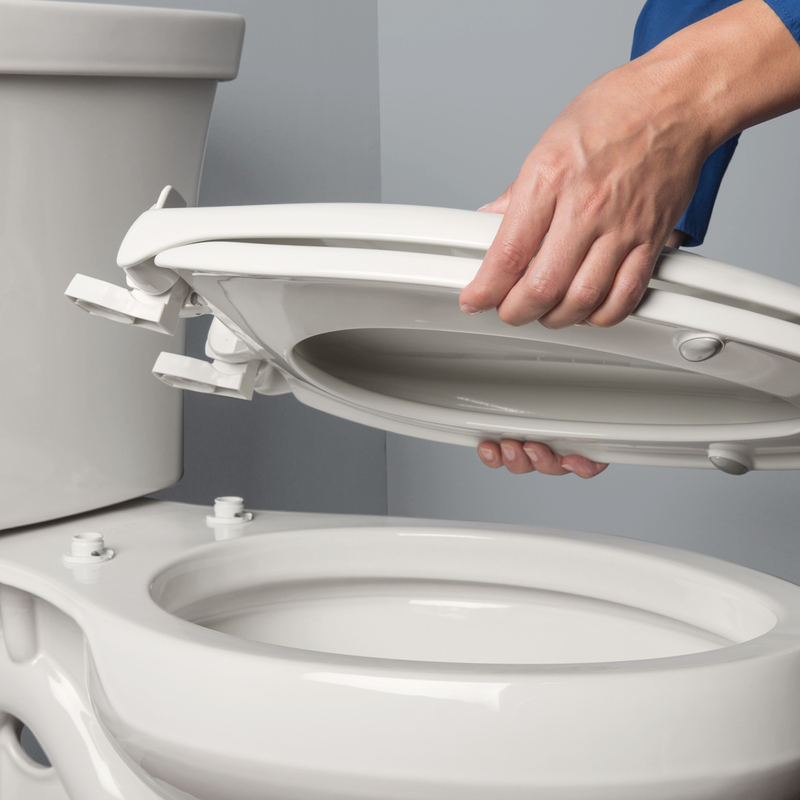 This beautiful wood toilet seat boasts a highly-stylized design with a superior high-gloss finish that resists chipping and scratching. 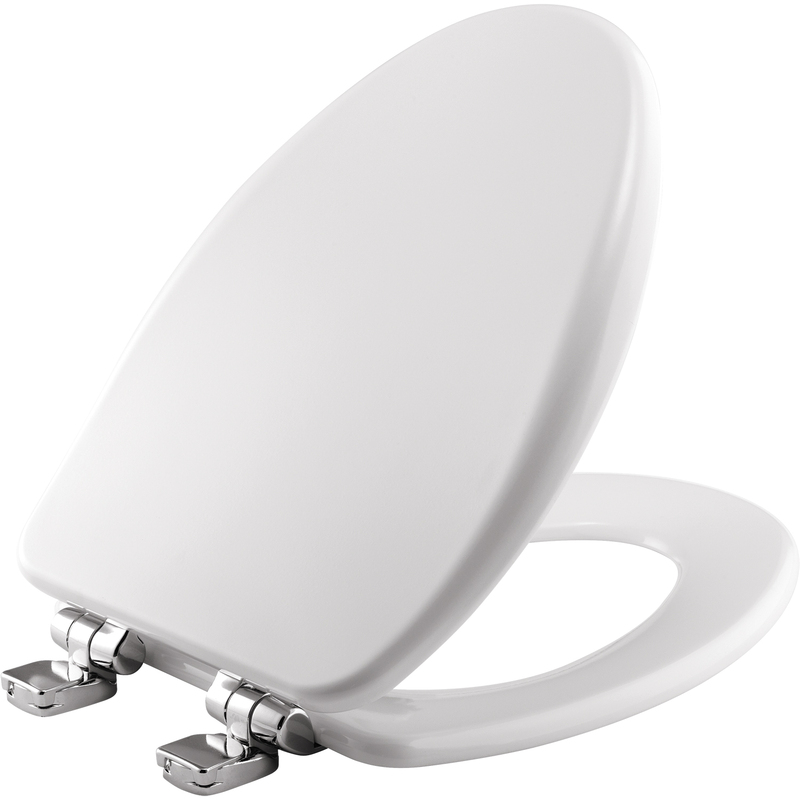 Accentuate your bathroom hardware with this classic chrome metal hinge toilet seat.